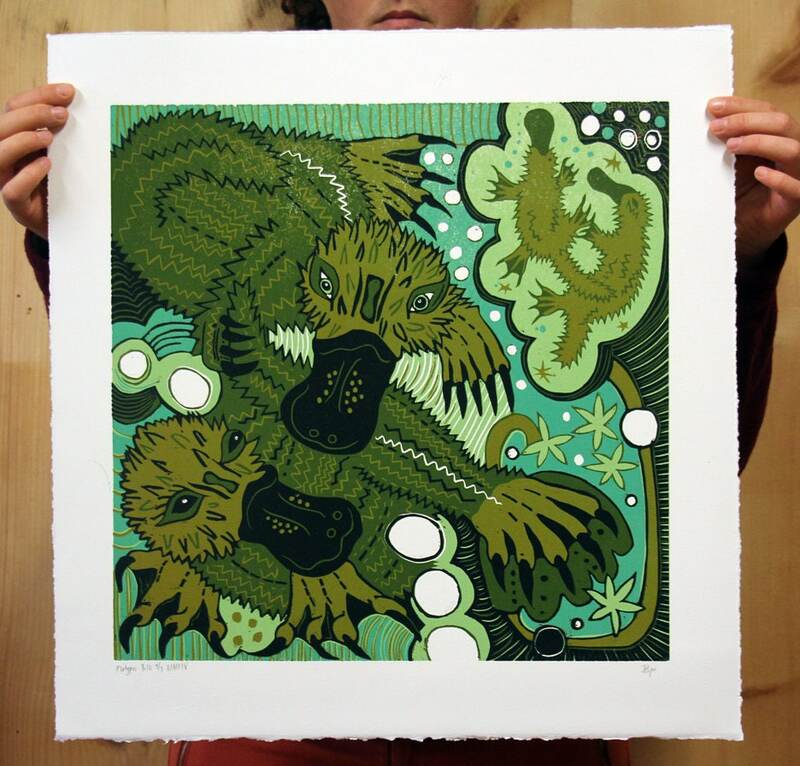 The print "Platypus Bills" is a complementary piece to my "Spoonbills" woodcut. I have a hard time just making one piece in a series so I wanted to make another print that was a play on "money" or "bills." 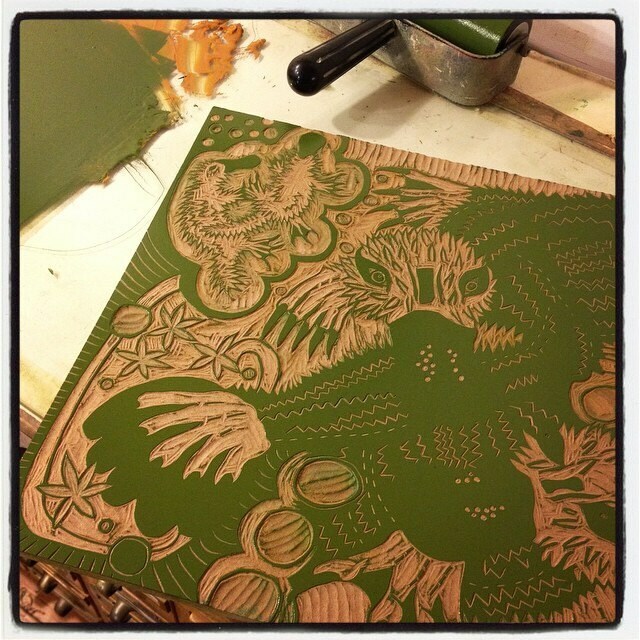 And I needed a good excuse to make a platypus woodcut. I have been fascinated with these monotremes since traveling to Australia. 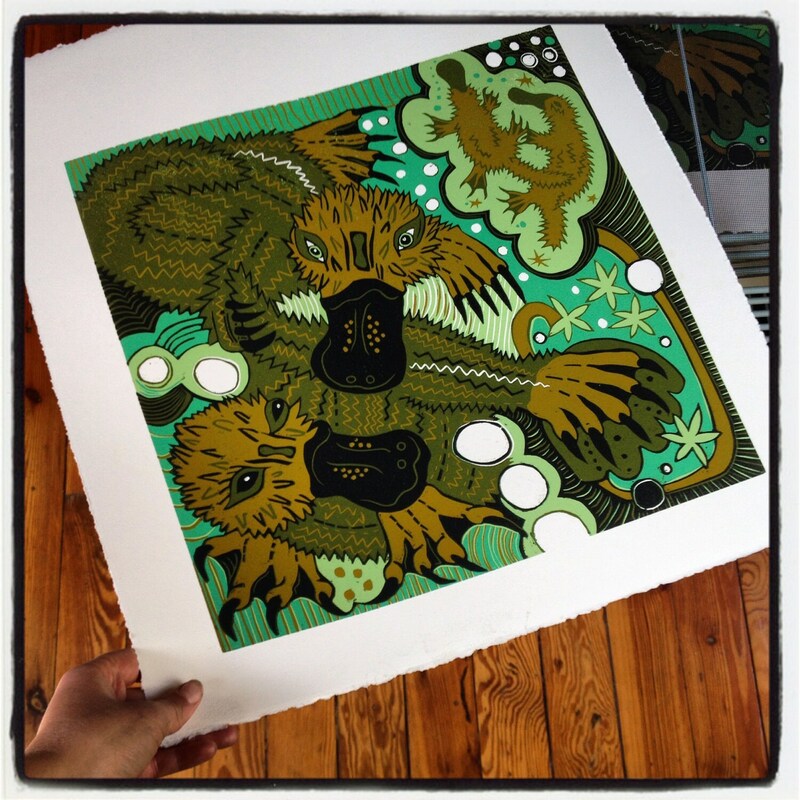 The white circles in the print are very stylized "eggs" and the dark greens and tans are similar colors to the murky rivers these animals thrive in.